Dallas Semiconductor/Maxim DS2401 is a factory pre-programmed silicon serial number chip. Right at the center of the die you can see 64-bit laser-trimmed ROM. 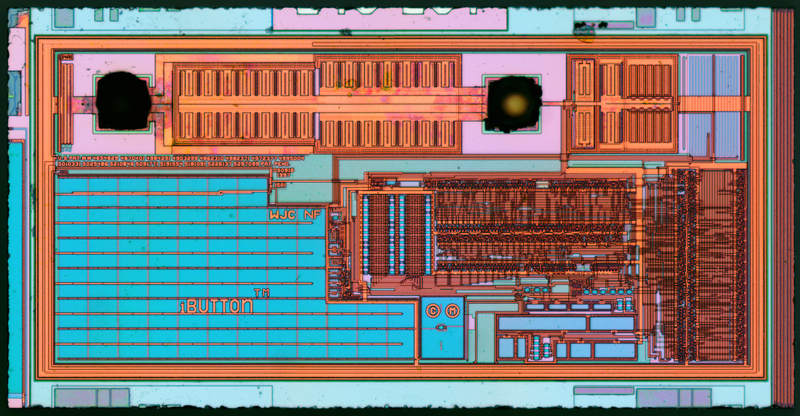 Die size 1346x686 µm.